As published on LinkedIn Influencers on February 18th, 2019. Before I moved to Utah I had only briefly heard of the Sundance Film Festival, and I had never actually attended a film festival of any kind. If you know me, you might find this news shocking, because I absolutely love movies. I mean really love them. Few things make me happier than heading into a dark theater with a big bag of popcorn and taking in a just released feature. Now that I live in Park City and have become a Trustee of the Sundance Institute, the non-profit organization that organizes the Sundance Film Festival, I am becoming a film festival champion to the highest degree. Why? Because it is beyond exciting to see the work of extremely talented filmmakers, actors, producers, and more be shown to an audience for the first time. Furthermore, at festivals, you often have the opportunity to have a Q&A with the people associated with the film, and therefore the experience feels that much more precious. 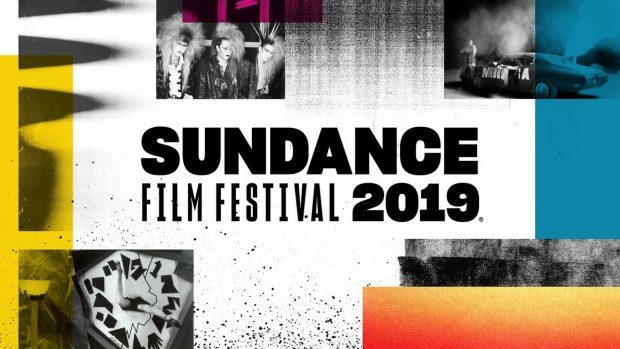 In 2019, Sundance received over 14,000 submissions across all categories being presented, and the programmers managed to boil them down to just over 200 works that were shown. 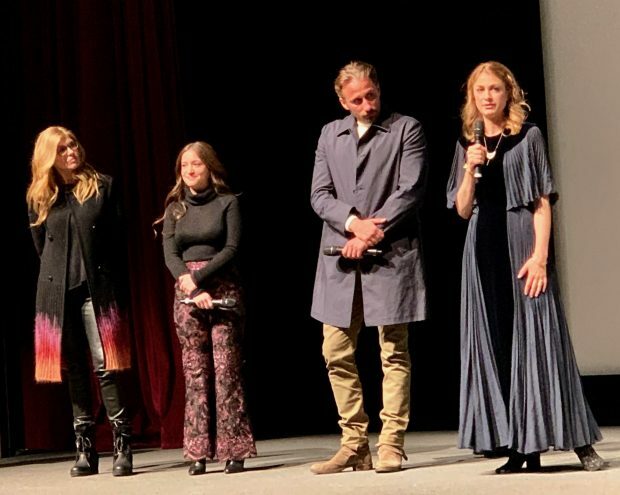 Over the course of just 12 days, audiences got to see not only the best of the best in independent filmmaking, but also a glimpse into what today’s talented and emerging storytellers think is interesting, compelling, and timely. Of course, it is impossible for anyone to see every film shown at the festival, but I did manage to see a lot, and the films I saw were too awesome not to share. Below is a list of some of the nearly 30 films I saw this year at Sundance, and where possible I’ve included where and when you might be able to see these works in the coming year. The descriptions are pulled from the program. The comments in italics are mine. However, if you want to go straight to the esteemed jurors and audience members for the best of the fest (and I would), you can access the list of award recipients here. 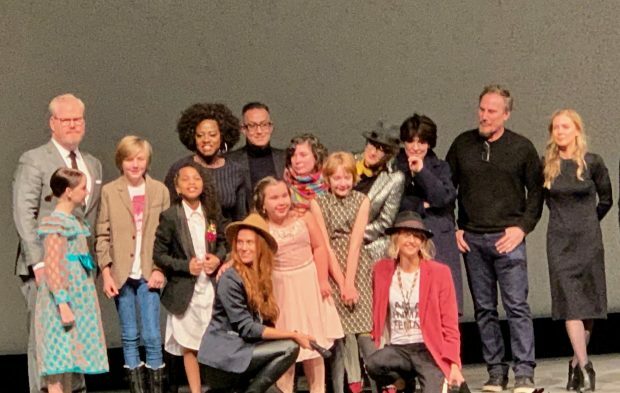 Of note is that of the 28 prizes awarded to 23 films – comprising the work of 27 filmmakers – 13 (56.5%) were directed by one or more women, eight (34.8%) were directed by one or more people of color, and one (4.3%) was directed by a person who identifies as LGBTQI+. Now that is worth celebrating! Brittany Forgler is a funny, likeable, 27-year-old hot mess of a New Yorker whose trashy nightclub adventures and early-morning walks of shame make her late for work every day. But when she stops by a Yelp-recommended doctor’s office in an attempt to score Adderall, Brittany gets handed a series of diagnoses instead—elevated heart rate, high blood pressure … the list goes on. Suddenly forced to get a grip, Brittany laces up her Converse sneakers and runs one sweaty block. The next day, she runs two. Winner of the Audience Award: U.S. Dramatic – Not surprising, as I absolutely loved it. Amazon acquired the rights to the comedy for $14 million January 30th. Set to be released August, 2019. How do you salvage your marriage when you are struggling to salvage your soul, your sense of self, and your sense of right and wrong? Bernadine Williams (Alfre Woodard) is a prison warden who, over the years, has been drifting away from her husband while dutifully carrying out executions in a maximum security prison. When she strikes up a unique bond with death-row inmate Anthony Woods (Aldis Hodge), a layer of emotional skin is peeled back, forcing Bernadine to confront the complex—and often contradictory—relationship between good intentions, unrequited desires, and what it means to be sanctioned to kill. Winner of the US Dramatic Grand Jury Prize. This was a very difficult film to watch because you witness inmates being put to death. A must see for anyone who cares about the matter of the death penalty, which should be everyone. 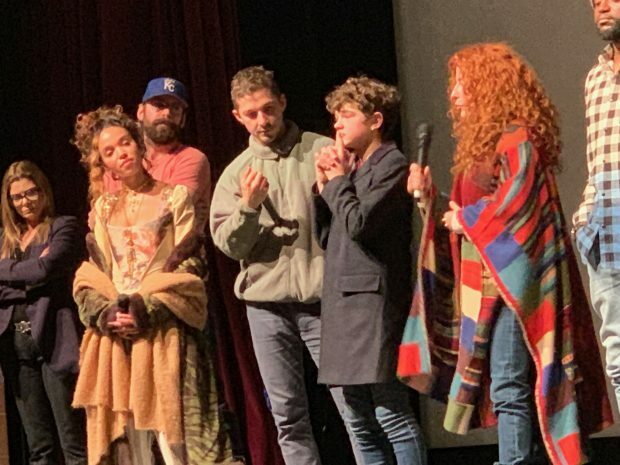 A24 acquired distribution rights to the film for $7 million dollars, over Netflix, Amazon Studios, and Fox Searchlight. Release date still to be set. I loved this film so much, because not only was it hilarious, but it reminded me of my grandma so much, and how hard it was to leave her in Canada and move to the United States. When 12-year-old Otis starts to find success as a child television star in Hollywood, his ex-rodeo-clown father returns to serve as his guardian. When Otis isn’t on set charming audiences, he spends his days with his father at an extended-stay motel on the edge of the city, enduring his overbearing father’s abuse. Honey Boy follows two threads of time, watching father and son’s contentious relationship and their attempts to mend it across the course of a decade. Winner of the U.S. Dramatic Special Jury Award for Vision and Craft. Holy Moly, and I mean Holy Moly. It was unbelievably brave for Shia to tell this story, let alone play his father, which he does brilliantly. To be clear, this is a complex story of addiction and abuse, and therefore hard to watch, but so so powerful. Amazon purchased the film for global rights in the $5 million range. Release date to be set. Just a few years old, the Satanic Temple has risen from the depths to become one of the most controversial religious movements in American history. Hail Satan? bears witness as the temple evolves from a small-scale media stunt to an internationally recognized religion with hundreds of thousands of adherents. Naked bodies writhe with snakes on altars as protesters storm the gates of state capitols across the country. Through their dogged campaign to place a nine-foot, bronze Satanic monument smack dab next to the statue of the Ten Commandments on the Arkansas State Capitol lawn, the leaders of the temple force us to consider the true meaning of the separation of church and state. Magnolia Pictures acquired the rights to the film prior to Sundance on Nov 29, 2018. The distributor plans a spring 2019 theatrical release, and it will sell international rights at Berlin’s European Film Market. This was a strangely compelling film that speaks to the power of documentary films to tell a very unusual story. In order to expose rampant human-rights abuses, filmmaker Nanfu Wang fearlessly confronted Chinese government agents in her 2016 Sundance Film Festival documentary, Hooligan Sparrow. Her goal in One Child Nation is no less daunting: unmask the tightly held secrets of China’s one-child policy and in so doing, free the voices of millions irreparably harmed by the practice. Winner of the U.S. Grand Jury Prize: Documentary. 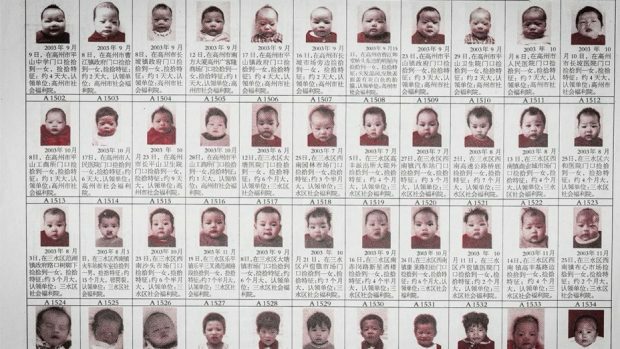 Of course we all know about this policy, and in fact it is currently in the news as the Chinese government is now aggressively marketing its new two child policy for fear of the long term economic and social impact of their one child policy. A true must see for so many reasons. Amazon Studios has acquired worldwide rights to this film excluding U.S. TV, and TV rights in Germany, France, Switzerland, Austria, U.K., Netherlands, and Scandinavia (excluding Finland). After a vicious acid attack leaves half her body covered in scars, Jade (Vicky Knight) must come to terms with the new life ahead of her: a life in which her young daughter refers to her as a “monster,” co-workers and strangers hurl nasty slurs her way, and physical intimacy seems to be a thing of the past. As an antidote to her rocky home life, Jade revels in South London’s pulsing, rhythmic club scene, but still can’t escape the emotional trauma that accompanies her scars. Desiring the face—and life—she once had, Jade looks into plastic surgery as a quick fix. Between script pitches and camera setups, Julie hosts a film-school cohort party where she meets a mysterious man named Anthony. A few days later, Anthony invites Julie to a grand hotel and asks to stay with her for a few days. Thus begins Julie’s first serious love affair. Ignoring her friends and borrowing large amounts of money from her parents, Julie surrenders to the relationship and prioritizes Anthony’s needs. Winner of the World Cinema Grand Jury Prize: Dramatic. 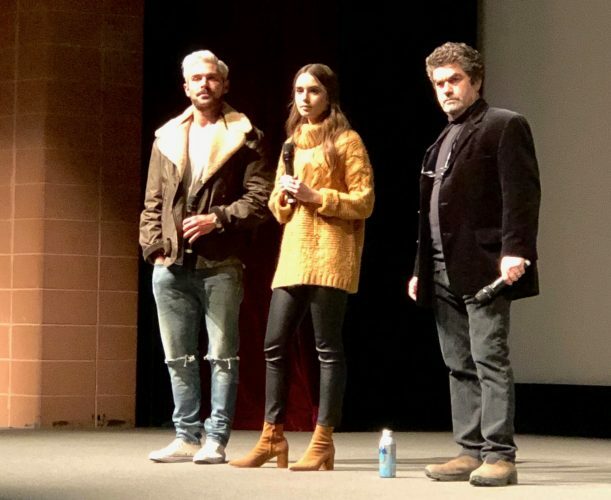 A24 bought North American rights to the film in December, 2018, prior to the festival. Once a nation crippled by military dictatorship, Brazil found its democratic footing in 1985 and then, in 2002, elected a hugely popular political disrupter: steel-worker-turned-activist Luiz Inácio Lula da Silva. Under his watch, 20 million Brazilians were lifted out of poverty, and his country rose to international prominence. In 2010, “Lula” passed the presidential baton to his prodigy, a fierce female guerrilla named Dilma Rousseff. Isabel (Michelle Williams) has dedicated her life to working with the children in an orphanage in Calcutta. Theresa (Julianne Moore) is the multimillionaire head of a media company who lives with her handsome artist husband (Billy Crudup) and their two adorable twin boys in New York. When word comes to Isabel of a mysterious and generous grant for the financially struggling orphanage, she must travel to New York to meet the benefactor—Theresa—in person. And when Isabel is spontaneously invited to Theresa’s daughter’s wedding, Isabel discovers a connection to Theresa that takes her on an unexpected journey into her own past. Cornerstone Films will handle international sales and distribution and will commence sales at the European Film Market during the Berlin Film Festival. CAA will oversee the U.S. rights. Young William Kamkwamba lives with his family in rural Malawi, where he attends school regularly and shows great aptitude for his studies. Yet after land development and poor weather lead to a meager harvest, famine strikes the village, alarming the community and forcing William to drop out of school when his father (Chiwetel Ejiofor) can no longer afford the fees. Determined to find a way out of the life-threatening situation his family is facing, William sneaks into the school library to research—and soon conspires to build a windmill pump to irrigate the land. Caught between his father’s close-minded skepticism and the difficulty of creating a machine out of bicycle parts and scrap materials, William races against the clock to fight for his community’s survival. Winner of the Alfred P. Sloan Feature Film Prize. 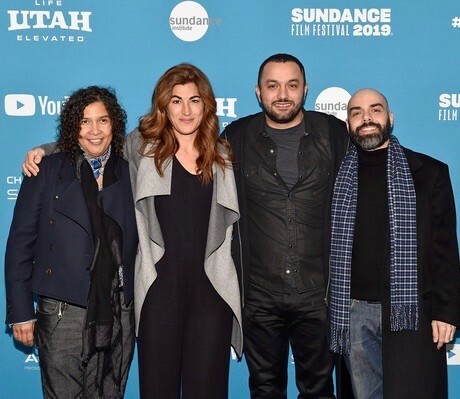 The filmmakers received a $20,000 cash award from Sundance Institute with support from the Alfred P. Sloan Foundation. 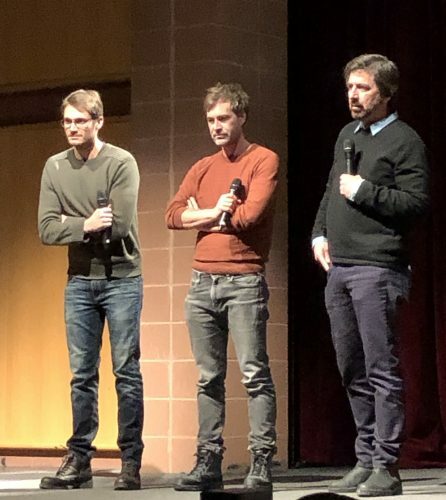 Netflix acquired the film in November, 2018, prior to the festival. It will launch in 2019 on Netflix and in select cinemas in the U.S. and U.K.
1969. Ted (Zac Efron) is crazy-handsome, smart, charismatic, affectionate. And cautious single mother Liz Kloepfer (Lily Collins) ultimately cannot resist his charms. For her, Ted is a match made in heaven, and she soon falls head over heels in love with the dashing young man. A picture of domestic bliss, the happy couple seems to have it all figured out … until, out of nowhere, their perfect life is shattered. Ted is arrested and charged with a series of increasingly grisly murders. Concern soon turns to paranoia—and, as evidence piles up, Liz is forced to consider that the man with whom she shares her life could actually be a psychopath. 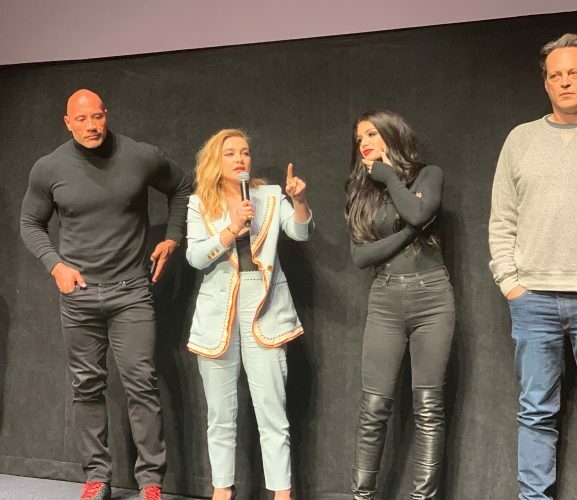 Netflix acquired the rights to the film on Feb 4, 2019 at an estimated $9 million. 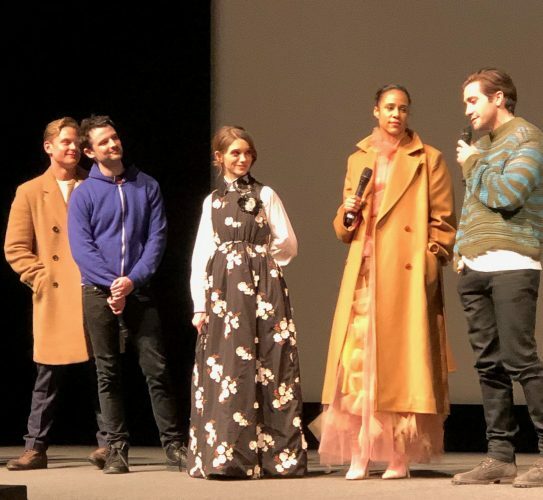 While there’s no news yet on when the film will be available on Netflix, there are plans for a theatrical release in fall 2019. Saraya Knight (Florence Pugh) is a teenager, and her favorite thing about her family is that they are all obsessed with wrestling—an unusual family pastime by any measure, but especially so in Great Britain. While her parents (Lena Headey and Nick Frost) aim to book wrestling matches in tiny venues around the country for Soraya and her brother, Zak (Jack Lowden), true fighting stardom has always eluded them. That all changes when the WWE sees one of their tapes and offers the siblings the opportunity to audition for coach Hutch (Vince Vaughn). As Saraya steps into her new WWE persona, Paige, and glory starts to seem just within her and Zak’s grasp, it also threatens to change their sibling dynamic forever. Is scheduled to be released in the United States on February 14, 2019 in select theaters and February 22, 2019 in wide release, and on March 1 2019 in the United Kingdom. Amazon acquired the rights to the comedy for $13 million. Release date TBD. I loved this movie so much! I would describe it as a bit of Devil Wears Prada, meets Working Girl, meets something entirely modern and fresh. Mindy Kaling you are a rock star! An unlikely bromance between two misfit neighbors becomes an unexpectedly emotional journey when one of them is diagnosed with terminal cancer. Suddenly facing their mortality, the two bros (who spend their free time playing a game they made up called Paddleton) decide to go on a trip. Yet their literal journey turns into a metaphorical one as their experiences reveal the true bond of friendship—and what that means between two men who use humor to avoid expressing any real emotion. Netflix acquired the film and is set to release February 22, 2019. Rafi works as a street photographer in frenzied Mumbai, snapping improvised portraits for tourists at the city’s landmarks. When his ailing grandmother—who has always hoped that Rafi would start a family—comes to visit, he scrambles to appease her. A chance encounter with kind-hearted and lonely Miloni offers the perfect opportunity, since she is happy to play along when Rafi asks her to be his pretend companion. Yet even as the scheme throws into sharp relief the class differences and obstacles that would stand in the way of such a union, the line between hypothetical and real affections grows ever hazier. 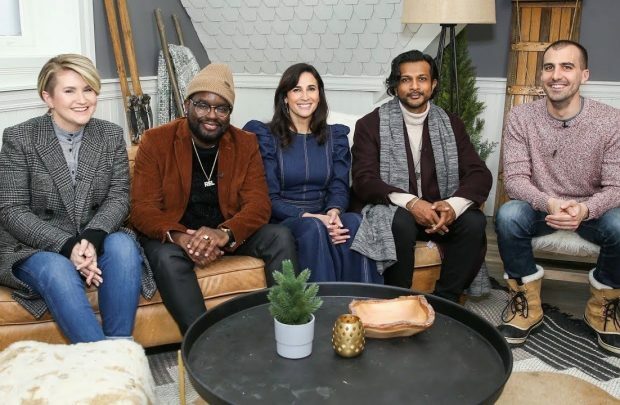 The film is scheduled to release in India on March 8, 2019 and to be released in several countries including UK, USA, Spain, France and Australia through Amazon Studios. Senate staffer Daniel Jones is assigned the daunting task of leading an investigation into the CIA’s Detention and Interrogation Program. After analyzing extensive evidence, he learns about the “enhanced interrogation techniques”—proven to be brutal, immoral, and ineffective—that the CIA adopted after 9/11. When Jones and the Senate Intelligence Committee attempt to release the results from his investigation, however, the CIA and White House go to great lengths to prevent the truth from getting out. Amazon acquired the rights to the film for $14 million. Release date TBD. Mind blowing. Bleecker Street acquired distribution rights to the film and is set for a May 17, 2019 release. 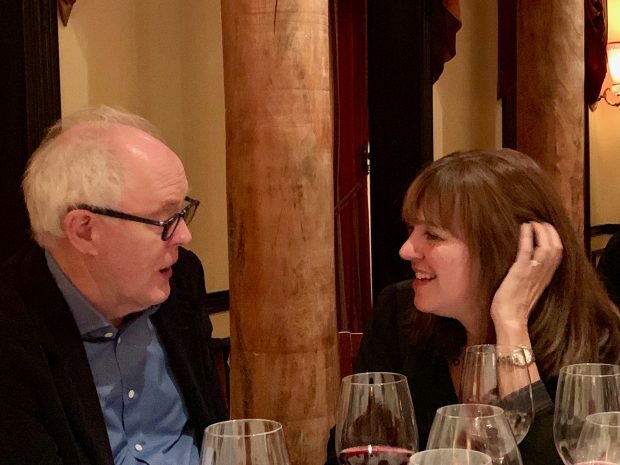 Yes, that is me having dinner with John Lithgow. Nine-year-old oddball Christmas Flint (Mckenna Grace) is obsessed with space and making contact with the aliens of the universe. When she finds out the prize at the 1977 Birdie Jamboree is getting her voice on NASA’s Golden Record, Christmas forms her own misfit Birdie troop. Nothing can prepare them for the painfully perfect world of the legit Birdies. But, led by their reluctant yet fearless troop mama (Viola Davis) and Christmas’s dad (Jim Gaffigan), they find glory in the most unexpected circumstances—much to the despair of the ever-judgmental school principal, Miss Massey (Allison Janney). Netflix acquired the film and it is currently streaming on the platform. Have you ever filled out an online survey? Do you wonder why you receive ads for products that you happened to research the day before? Be afraid. Be very afraid. Data has surpassed oil as the world’s most valuable asset, and it is being weaponized to wage cultural and political wars. We’re in a battle for control over our most intimate personal details. The Great Hack uncovers the dark world of data exploitation through the compelling personal journeys of players on different sides of the explosive Cambridge Analytica/Facebook data breach that rocked the world. The Netflix Original Series film. It is still a work-in-progress and release date is TBD. I am honored to be friends with these two amazing directors and people. I plan on writing an article about this movie. So much to say. The inside story of the meteoric rise and monstrous fall of movie titan Harvey Weinstein, Untouchable reveals how Weinstein acquired and deployed his formidable power over the course of decades. Former staffers, college friends, and reporters reflect upon the public perception of Weinstein as a visionary, while detailing his ruthless attempts to preserve his power as scandal threatened to engulf him. In candid, emotional, often-harrowing testimony—with many accusers speaking on camera for the first time—Untouchable exhumes both the method and the collateral damage of Weinstein’s alleged abuse. As the criminal case against him continues, the film questions whether meaningful change in the justice system—and in the film industry—is really possible. See my post about Untouchable here. In the late 1980s, amateur British sailor Tracy Edwards decided she’d had enough of being dismissed and belittled as the only woman on the seafaring crews she’d participated in. Setting her sights on the upcoming Whitbread Round the World Race—a staggering 40,000-nautical-mile circumnavigation of the earth that few boats dared tackle—Tracy assembled the world’s first international all-female sailing crew and entered the competition. As they weathered not only life-threatening high seas but also a storm of sexism in the media, this inspiring group of women had to rely on their own pure resilience—and each other—to prove the naysayers and skeptics wrong. Premiered at the Toronto International Film Festival early 2018. Sony Pictures Classics acquired the film after the TIFF premiere. The film is set to release June 28. I LOVED THIS FILM SO MUCH! The Women’s March mobilized millions of women to protest after the inauguration of President Trump, but working across ideologies to combat injustice has its challenges. 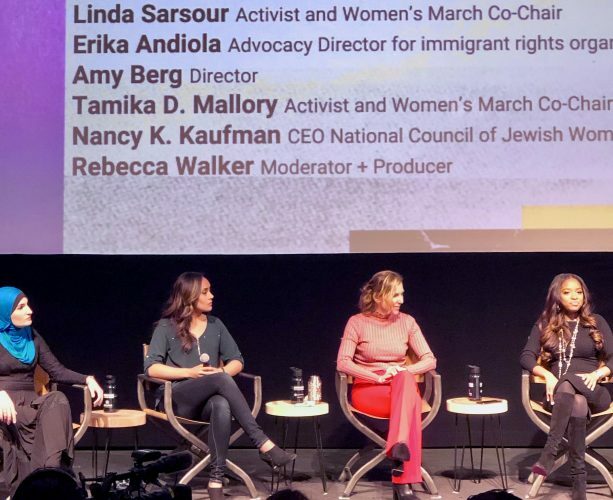 Academy Award–nominated director Amy Berg returns to the Sundance Film Festival with an insider’s look at the struggle for intersectional activism among the Women’s March leadership. Berg captures the collaborative organizing process and hopeful energy of the first marches in 2017, and spends time behind the scenes highlighting the sustained work that happens after the crowds subside. For Women’s March co-president, Tamika Mallory, and community-organizing leader, Erika Andiola, the march is only the tip of the iceberg of their broader activism—Andiola championing immigration rights and Mallory protesting gun violence. When Mallory comes under fire for her affiliations with Minister Louis Farrakhan, a powerful conversation between Mallory and Rabbi Rachel Timoner opens up a dialogue about intersectional leadership. In an era that has continued to reimagine and refresh storytelling forms, Pop-Up Magazine initially emerged as a rethinking of the journalism form. It introduced the idea of placing a wide range of stories—news, history, culture, art—into a live setting, one in which an audience consumes them as a shared experience. The result is a touring, “live magazine” show, created for a stage, a screen, and a live audience. Its contributors—including filmmakers, best-selling authors, popular radio and podcast voices, and artists—perform vivid multimedia stories accompanied by illustration, animation, film, photography, and an original live score. This special featured stories and performances from Chris Colin, Stephanie Foo, Vann R. Newkirk II, Veena Rao, Albert Samaha, Juliana Schatz Preston, Leanne Shapton, John Jeremiah Sullivan, and Phillip Whitely. Cool, innovative, hilarious, insightful, just amazing! Here is the schedule for their live performances if you want to experience it for yourself, and I cannot reccomend it more highly. New Frontier programs virtual and augmented pieces. I was able to see a number of pieces but the below was my favorite. The Green Book, first published in 1936, was a survival guide that African American travellers relied on to avoid brutal discrimination, because it listed safe places that would fulfill their basic needs. In 1958, Ben and Virginia Ali’s new restaurant, Ben’s Chili Bowl, joined the list. 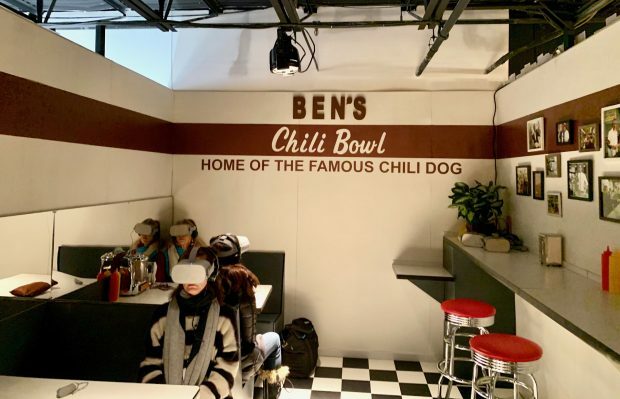 This installation invites viewers into Roger Ross Williams’s emotionally moving VR experience about race and restricted movement in America, and afterwards connect in an intimate booth at Ben’s Chili Bowl. As published on LinkedIn Influencers on February 5th, 2019. 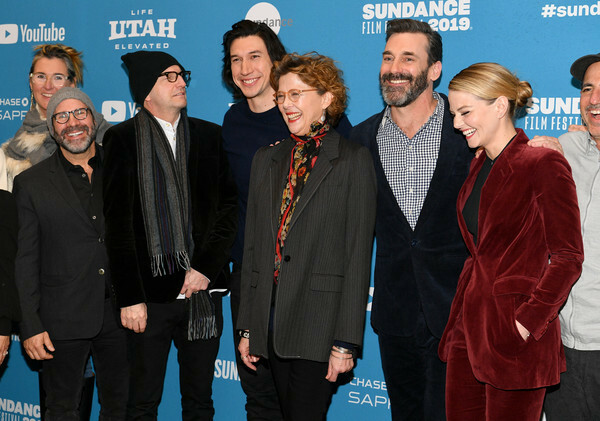 Just under two weeks ago, the 2019 Sundance Film Festivalofficially kicked off in Park City with its annual opening day press conference that featured Robert Redford and festival programmers. 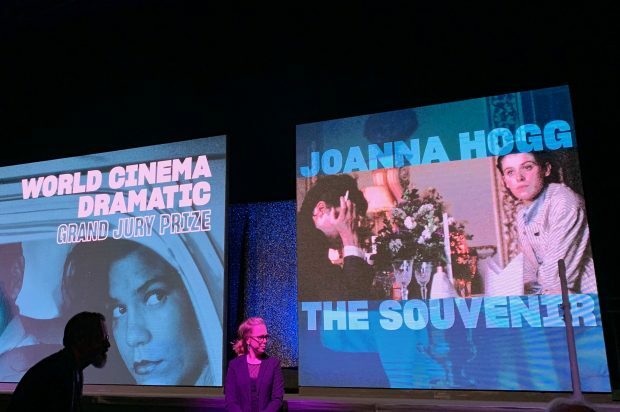 This year, when festival Director John Cooper spoke, he noted that while the festival never consciously chooses a theme for the year, invariably a theme emerges from each year’s crop of submissions. This year, he noted, the theme was truth. By the end of the festival, I had watched over 30 films, and it became clear to me what he meant. 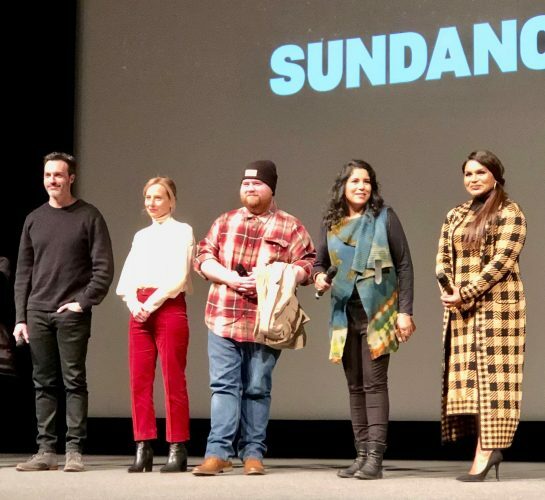 Truth was everywhere at Sundance 2019, and sometimes it was hard to bear. This idea was extremely evident in Untouchable, the new documentary by British filmmaker Ursula MacFarlane, which had its World Premiere a week ago Friday. The film charts the rise and fall of disgraced Hollywood mogul Harvey Weinstein and asks the question of how he got away with being a serial sexual predator for so long. The film opens with a woman’s testimony, where she alleges Weinstein forced himself upon her in the 1970s. This interview implicates he got away with harassing, assaulting, threatening, and violating women for over four decades, all this while being heralded as one of the most powerful men in Hollywood. Weinstein was considered a maverick who built his fortune on Miramax, the studio he founded with his brother Bob in 1979. He went on to become the most infamous bully in modern Hollywood history. Weinstein’s reputation as a tyrant was legendary, and he is credited with changing the game with respect to Academy Awards campaign tactics. In his eyes, Academy Awards were a tool to wield for power, and it seems he’s been thanked onstage more times than God by winners. Harvey Weinstein was untouchable. Until suddenly he wasn’t. On October 5th, 2017, The New York Times published an exposé by Jodi Kantor and Megan Twohey that reported on the widespread sexual abuse committed by Weinstein. Coincidentally, just a week before this year’s festival, I heard Ms. Kantor speak live at the Park City Institute on her career and this watershed article. She was incredible. Their piece was followed on October 10th by a report in The New Yorker by Ronan Farrow that alleged Weinstein had raped three women and sexually assaulted dozens more. The reaction was swift and widespread. Weinstein was dismissed from the Weinstein Company by the Board of Directors (the company has since been dissolved), expelled from the Academy of Motion Pictures and Sciences, and is currently facing criminal charges in New York City. On a wider scale, this event kicked off a global reckoning on the issue of sexual harassment through the #MeToo movement and the Times Up Initiative. To date, over 80 women have accused Harvey Weinstein of abuse. More importantly, incredibly brave men and women all over the world from every possible socioeconomic background are sharing their stories of abuse and harassment, making it clear that this kind of behavior simply will not be tolerated any longer. The far reaching impact of the now coined Weinstein Effect will likely be discussed, debated, and studied for years to come, as it should be, but those are stories on a global level. Untouchable is a film about just one man and how he was able to get away with his despicable actions for so long. The film interviews former employees who confess to feeling guilty over whether or not they were complicit in aiding his actions. For me, one of the most compelling accounts came from a former colleague of Weinstein who saw legal documents accusing Weinstein of assault, and in feeling that the accusations were absolutely true, chose to quit on the spot. She said that there are points in your life when you have to choose between your values and your pocketbook, and that was one of those moments for her. Other former colleagues confessed that there was simply too much money at stake to face the reality of what they knew was happening. While this was perhaps a textbook case of institutionalized complicity, it was first and foremost about one man’s catastrophic abuse of power. Harvey Weinstein wielded his power like a weapon, and he got away with it for decades. Untouchable lays bare this reality in a way that we can no longer ignore. It is the truth, as awful and heartbreaking as that truth may be. What resonated with me most while watching this film was the how and where Weinstein’s abuses occurred. This was not some sleazy guy hitting on women in a bar. This man was a powerful Hollywood producer who invited women to his hotel rooms on the pretext of business meetings and auditions, and then exploited that situation for his own sexual gratification. The film is filled with powerful testimonies from many female actors, and I thank them all for their courage to come forward. Each of them shared similar stories in graphic and disturbing detail, but the interview that left me in a puddle on the theater floor was by an actress with total night blindness. During her interview, she detailed being shoved into a dark stairwell and derisively told to find her own way out after refusing to bare her breasts to Weinstein. Before the screening of the film, the audience was warned that the film may be triggering, and indeed it was. Even now, as I type these words, my head is filled with memories of my own experiences of sexual harassment as a young professional. I remember his words, almost the exact same words that survivors in the film used, that made it clear that if I wanted his help with my career, I had to indulge his actions. If this is in no way your lived experience, then I hope you see this film. If you are someone who thinks that this whole #MeToo thing has gone overboard, then I hope you in particular see this film. The purpose of a great social issue documentary is to tell a vitally important story that creates understanding, empathy, and action. Untouchable is a great documentary. I have been thinking a lot about truth since this year’s festival began, and I keep coming back to the famous line from A Few Good Men: “You can’t handle the truth.” There’s a lot of wisdom there. The truth is often ugly. It is often heartbreaking. It often involves all of us having to look inside ourselves and ask the hard questions. Am I complicit? Could I have done better? Now that I know, what do I do? The truth is a messy, dirty affair, and oftentimes it is much easier to look away and allow the status quo to continue because it’s safe and comfortable. I will never forgive myself for not reporting my abuser because I know for a fact that he went on to abuse other women. But I also know that like many of the women who shared their stories in this film, I was the one without power, without status, and who lacked faith that appropriate action would be taken to protect me. What this film, and so many others that have debuted at this year’s festival show us, is that refusing to see the truth most often comes at the cost of the most vulnerable. Maybe we can’t handle the truth, but we cannot ignore it any longer. Please consider reading this article on Democracy Now – here Amy Goodman interviews the director of Untouchable, URSULA MACFARLANE. In 2017 I shared my #metoo story – Here it is. As published on LinkedIn Influencers on February 5th, 2018. 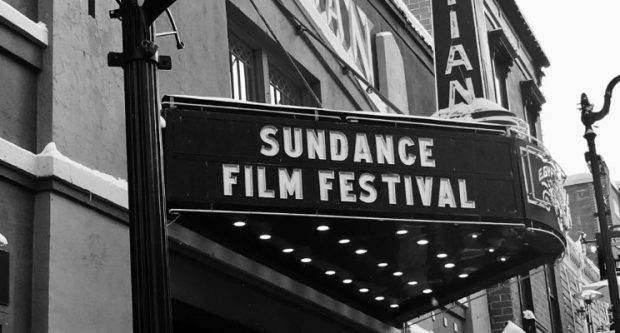 The Sundance Film Festival takes over the small town of Park City, Utah for 10 days every January. Yes, it is all about movies, but it is also about so much more than that. It is a full-out cultural experience. The programmers choose from thousands of feature fiction, non-fiction films, shorts, episodic, and virtual reality works to present to a global audience of industry folks and film lovers alike. 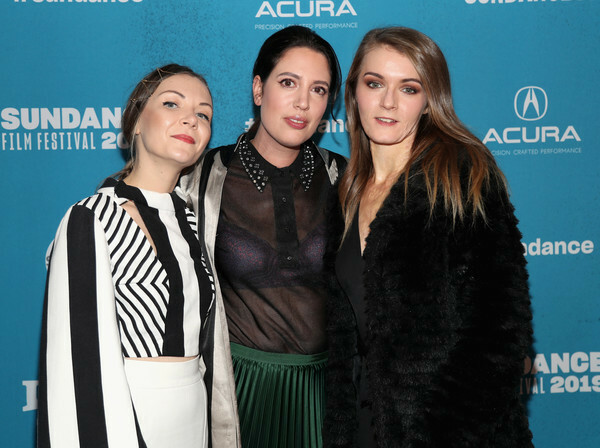 It’s not an exaggeration to say that it can make a career to have a work premiere at Sundance. In many ways this festival is like winning a gold medal for storytellers. 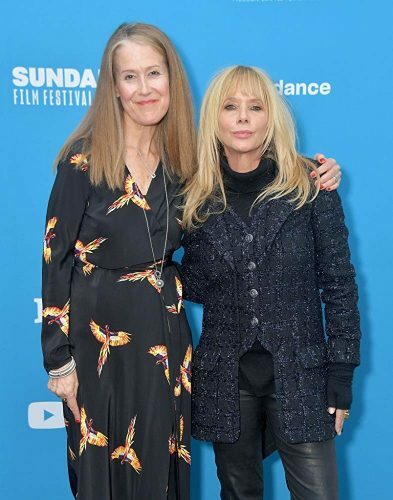 I am lucky enough to live in Park City, and for the past 5 years I have served as a Trustee of the Sundance Institute, which is amazing because I LOVE movies. For 10 days I am ALL IN, seeing 20+ films, attending panels, meeting with filmmakers, going to parties, and much, much more. Sundance is non-stop from 8am to 12am every day and I love every second of it. What makes this festival so incredible is to not only experience the work, but to get to know the creators of that work as well. At Sundance it truly is all about the filmmakers. Year after year I have noticed that themes often reveal themselves in the films being presented, and this year was no exception. The tag line for 2018 was “the story lives in you”, and it could not have been more appropriate. The characters in so many of my favorite films this year all had these profoundly complex back stories. One film that will be finding its way to cinemas in the coming year is opening night film Blindspotting (Twitter @blindspottin), which was picked up by Lionsgate last week. Featuring searing performances by leads Daveed Diggs and Rafael Casal, this is a movie for your must see list. (photo with these incredible actors below)“Exploding with energy, style, and raw emotion, this film unravels today’s intersection of race and class with urgent and poetic justice.” There were many films about this intersection, including Monster, Monsters and Men (@monstersmenfilm), Burden and others, and never before in my experience at the festival have there been so many complex male characters that challenge beliefs around what it means to be a ‘real man’. There was a rap sequence in the film that blew my mind and for good reason. Lead actor Daveed Diggs was one of the original cast members of Hamilton. 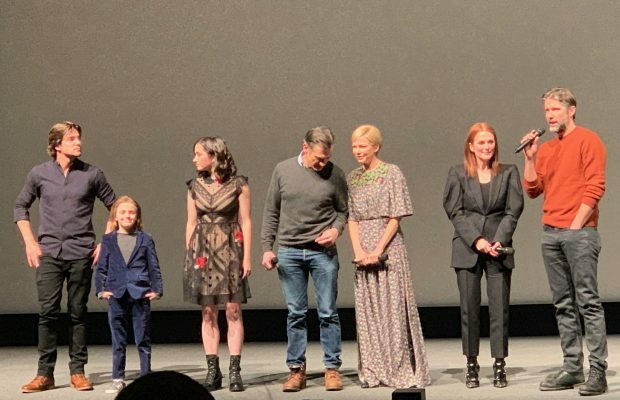 Other highlights for me included Puzzle, picked up by Sony Pictures Classics, Monster, from Executive Producer John Legend, and Heart Beats Loud, which had probably the most epic title song ever. On the documentary front, the best of the best included Won’t You Be My Neighborfrom Focus Features, 306 Hollywood, award winner On Her Shoulders, and Generation Wealth by the magnificent Lauren Greenfield (@lgreen66) and Studio 54. Onto the Virtual Reality. Sundance has been programming VR pieces for the past few years, and may have been one of the first major film festivals to do so. This year the number of submissions in this category exploded. “The New Frontier section champions filmmakers and artists who explain, experiment with, and explode traditional storytelling.” I was transported to the Amazon to spend time with the first woman shaman in Awavena, dove in to the animated world of a teenage Puerto Rican girl in Battlescar, and was trained as an astronaut in Space Explorers: A New Dawn. While all of these films were incredible, Hero(@iNKStories) was transformational. Please find a video I filmed right after experiencing this piece below. Stories matter. One of my favorite quotes is by Harold Goddard. “The destiny of the world is determined less by the battles that are lost and won than by the stories it loves and believes in.” The Sundance Institute is a non-profit organization whose mission is to support independent storytellers, helping them to tell the stories they want, no, strike that, NEED to tell. Yes, of course, the hope is that the end product is sold, but it is clear that what might matter more is that the end product is seen, is heard, and is experienced. Please support independent film and artists. Take some time on the Sundance website and watch the short videos on the artists behind the work. Their stories are as amazing as the stories they tell. To find great films and where to watch them, here.